Women and Girls, PDRL, LDRL and Wheelchair Team kit for the 2019 season! Home » News » Community News » Women and Girls, PDRL, LDRL and Wheelchair Team kit for the 2019 season! 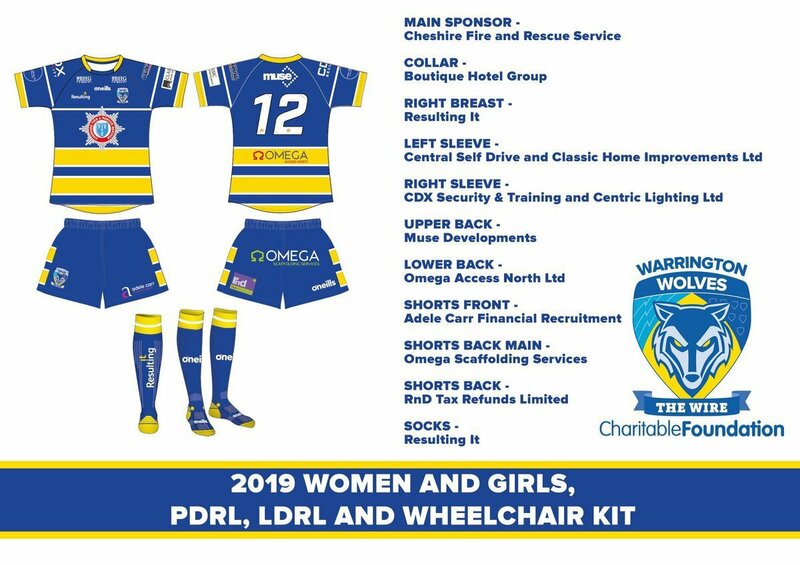 You may have recently heard that The Warrington Wolves Foundation have unveiled the Women and Girls, PDRL, LDRL and Wheelchair Team kit for the 2019 season! With the Warrington Wolves launching their women’s team for the first time ever, Central Self Drive are very proud and excited to announce that we are one of the sponsors of the team kits, being involved with the likes of Cheshire Fire and Rescue Service, Boutique Hotel Group and Classic Home Improvements Ltd and more! We are also delighted to announce our very own rental agent Anna Hutchins is starting as a 2nd row for the Women’s team – Good luck to all the players, team and everyone involved in your first season.